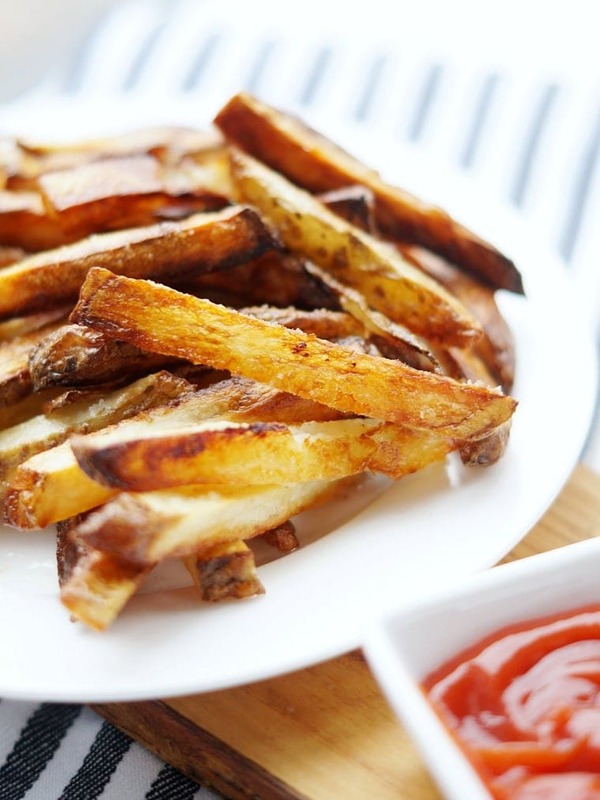 Making Homemade French Fries is easier than you think! 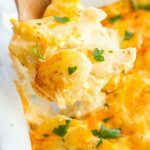 This easy oven baked french fries recipe results in super crispy and full of flavor fries, which makes them an easy and versatile side dish recipe that pairs well with any dinner. 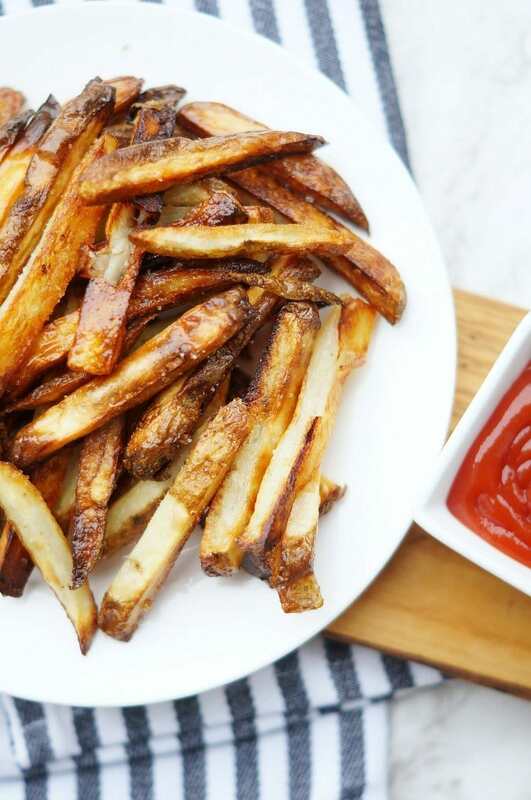 French Fries are such a fun side dish to serve with just about any meal, but we especially love them with Easy Baked French Dip Sandwiches and Instant Pot Buffalo Chicken Sliders. Hello! 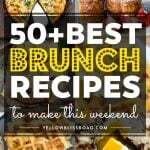 Amanda here from Old House to New Home, sharing my favorite homemade french fry recipe. 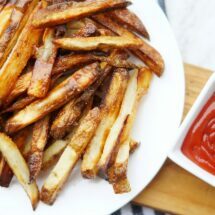 These Oven Baked French Fries are my family’s favorite side dish recipe and if you love crispy fries but want to save a few calories, then this recipe is for you. The preparation is really easy, but I really recommend using a french fry cutter to get evenly shaped fries. 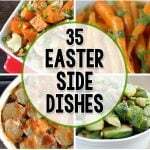 You can certainly free hand them with a knife, but differently sized fries won’t cook as evenly and some may crisp up in the oven before others cook all the way through, resulting in some burnt pieces. You can use the cutter for other veggies too, like zucchini to create zucchini fries, one of my favorite side dishes! We eat a ton of pasta and rice in our house and don’t have potatoes all that often. 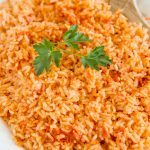 My family is Arab and rice is just a more traditional side dish for us. While we don’t have potatoes often, when we do it’s usually these Oven Fried Spanish Potatoes but I absolutely love french fries and wanted to find a stand out recipe so that they taste just as good as the restaurant fries. After making countless versions, I finally found a winning recipe for oven baked french fries that produces super crispy and tasty fries at home! 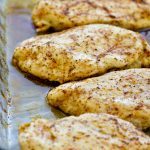 Start with a hot, preheated oven and a hot sheet pan by putting the pan in the oven while it comes to full temperature. 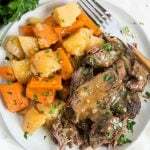 Spread olive oil evenly across the hot pan, then toss cut potatoes in the oil. Sprinkle the potatoes generously with salt and bake them for 15 minutes. 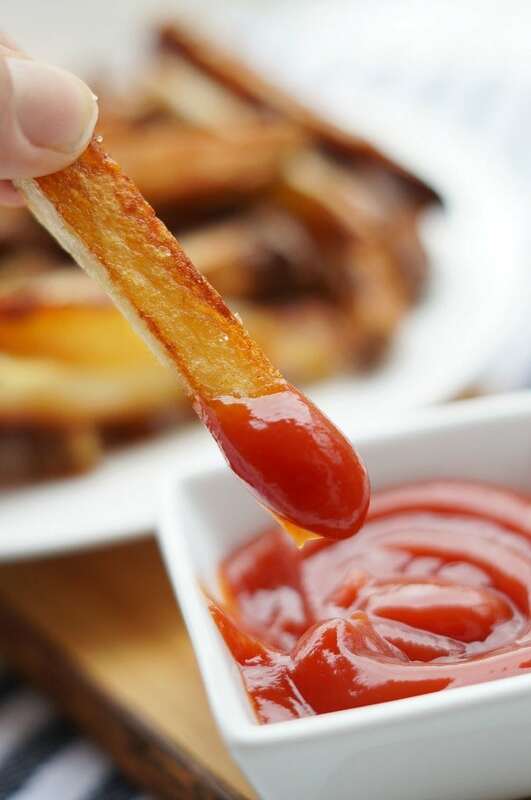 Flip the fries over with a spatula, then bake until golden and crispy. Transfer your homemade french fries to a large bowl to toss with salt and your choice of seasonings. HOW DO YOU MAKE CRISPY FRENCH FRIES IN THE OVEN? Making homemade french fries extra crispy is so easy and you just need two important things, which are a hot pan and a hot oven! My secret trick to making super crispy baked fries is to put the pan in the oven while you preheat it so that when you pull it out to add the oil and fries, the heat of the pan starts crisping up the fries right away. Load ’em up like my BLT Fries! 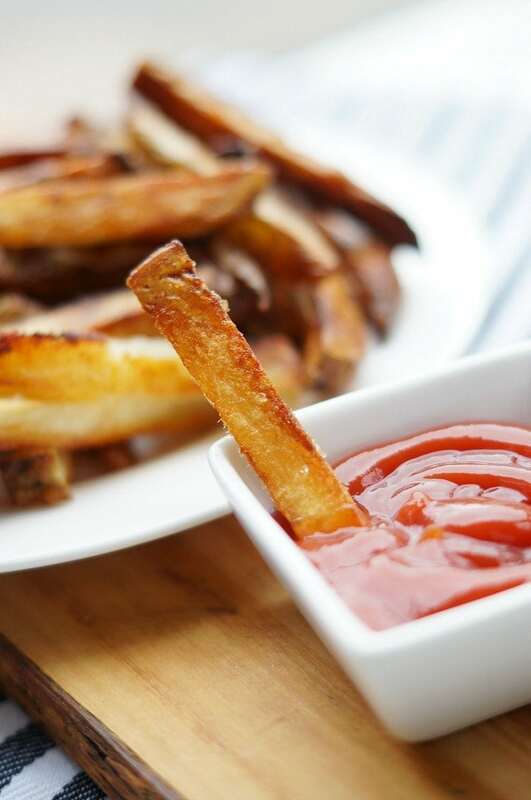 If you want to make french fries at home, then try this no fail, crispy baked french fry recipe. You will love how crispy these fries come out and how you can impart tons of delicious flavors with some toppings. Preheat oven to 450 degrees. Put a large rimmed baking sheet in the oven. Do not remove until preheating is done. Once oven is preheated, remove pan from oven and spread olive oil evenly across the pan. Arrange cut fries into a single layer on the baking sheet. Toss to coat in the oil. Salt and then put in the oven for 15 minutes. Remove from oven and flip potatoes to the other side. 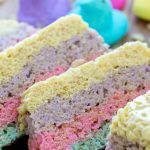 Use a metal spatula for easier flipping. Return to the oven for 20-25 minutes, or until fries are golden brown and crispy. Remove from oven and put into a bowl. Add additional salt to taste. If using, sprinkle minced garlic, parmesan cheese, and herbs over the fries. Toss to evenly distribute. Serve immediately. 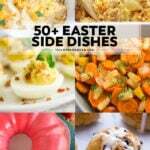 Looking for more easy potato side dish recipes?